I started in childcare over 25 years ago before I had a family of my own, working for a franchise which provided activity classes for preschool children. I took a career break whilst my children were growing up and returned to childcare once they became independant. In 2006 we opened our Coventry branch which has successfully progressed to an outstanding setting. In 2010 we opened our Birmingham branch, with the same ethos, and I am proud to say after 5 years, and with the hard work and commitment of our fantastic staff team we are currently rated “GOOD” by Ofsted (June 2015). I am passionate about providing quality childcare, in a safe stimulating environment that will allow each and every child to reach their full potential.Working within a great management team who share the same passion as myself, we work to continuously improve the service we provide. 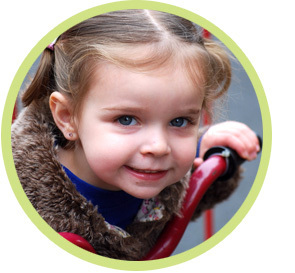 We operate on an open door policy with all our parents, and work in partnership to continuously improve the service we provide. 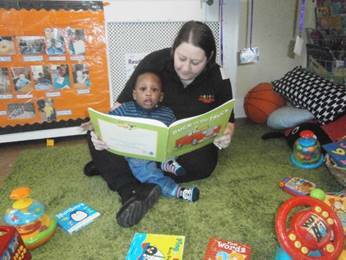 I joined Stepping Stones in January 2010 when the nursery first opened its Birmingham branch. I enjoy working with children of all ages but find working with the babies particularly rewarding. Being part of their development from such an early stage, and watching them grow within the nursery really gives me a sense of achievement. 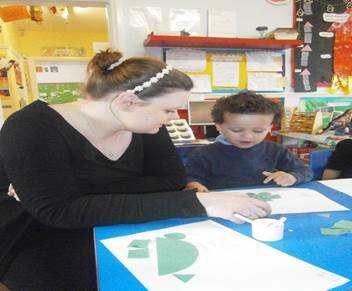 As well as manage the nursery, I am also the designated safeguard person (DSL) and also the Health and Safety officer. I am qualified to a level 4 in Children’s Care Learning and Development, and I also hold a level 2 in Team Leadership. I am currently working towards my BA in Early Childhood Education Studies.